For this week's edition of Music Monday, we have another hot summer hit, or tormentone estivo, as they call it in Italy. The song, entitled, "L'esercito del Selfie," is by Takagi and Ketra, and features vocals by Arisa and Lorenzo Fragola. This is the first artistic debut by Takagi and Ketra, who normally work behind the scenes as producers. 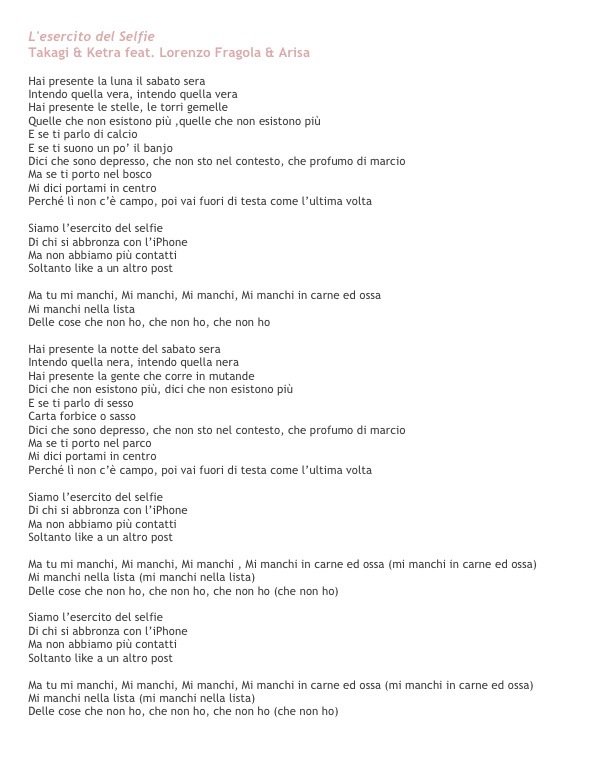 The song, whose lyrics were written by Tommaso Paradiso (member of Italian indie pop music group, Thegiornalisti), touches upon a controversial topic, as it discusses the negative affects of social media on society's social and communication skills. 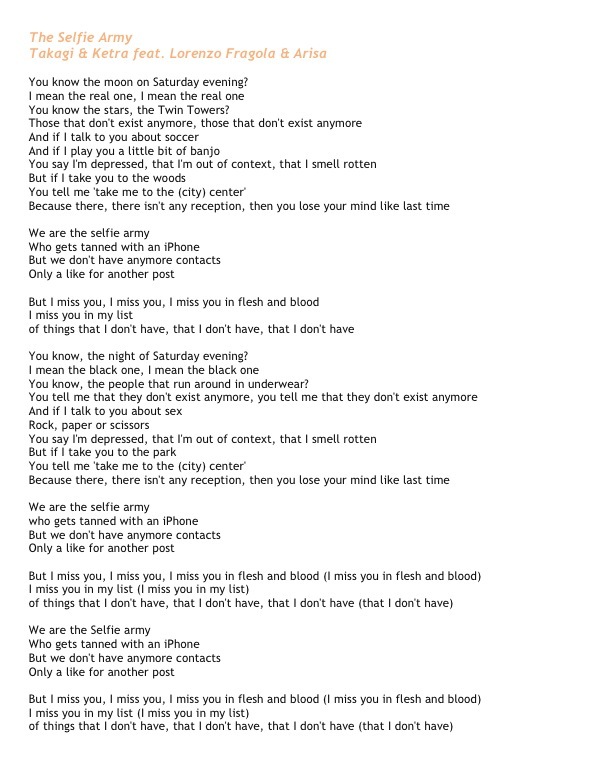 This much debated topic is highlighted in the song by lyrics such as, Siamo l'esercito del selfie, di chi si abbronza con l'iphone ("We are the selfie army, who gets tanned by an iPhone"), and Mi manchi in carne ed ossa ("I miss you in flesh and blood"). When asked in an interview with Funweek.it, why they chose to base the song in an older era, the duo explained that their aim was to create a link between vintage sounds and lyrics that couldn't be written in 1960s (if you're interested, you could watch the Italian interview here). If you're wondering who the elder gentleman is presenting the song in the video, it is none other than one of Italy's most renowned television hosts, Pippo Baudo. He playfully reminds at the end of the song that he invented the term, "tormentone." Check out this fun and thought-provoking song!